Great new game to match 3 of a kind and WIN! We can customize to your game. Great new game for your Players. 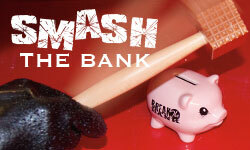 Many piggy bank designs and game options available! 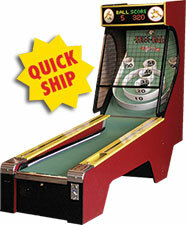 Great new Skee-Ball Games - Classic & Electronic LED Lighting! 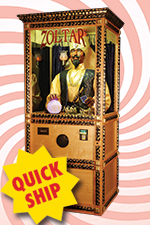 Great new fortune telling machines for your Players’ Fun!! 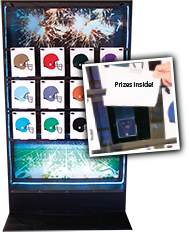 Great new stand-alone game for your Players to pick a prize! 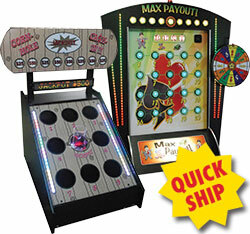 Great new Electronic Games - Bean Bag Toss & Punch Board! 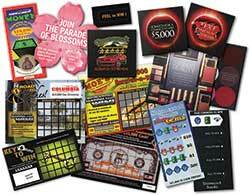 Wide variety of Scratch-off tickets or we can custom build them for you! 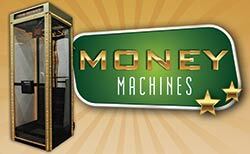 Great new money machines for your Players’ promotions!